The '90s were such a weird time. When is a Mac not a Mac? When it’s a clone. 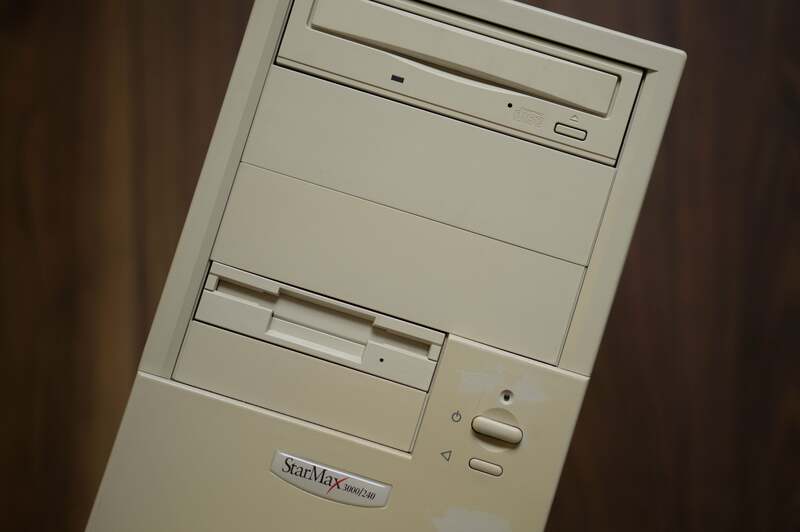 The clone program of the late ’90s brought us Mac-compatible computers from a wide range of companies that legally and with Apple’s blessing ran the Mac OS, but they quite specifically weren’t “Macintosh” computers. Only Apple made Macs. To most of us, though, that was an esoteric and meaningless distinction. Something that ran the Mac operating system basically was a Mac, and the only crucial difference was that these clones cost much less and were often more powerful than Apple’s equivalents. Indeed, oftentimes they weren’t merely more powerful relative to their price but actually, objectively faster than anything Apple was making. Imagine if today, you could buy “a Mac” from Sony or Lenovo or Dell that wasn’t just cheaper than what you’d buy from Apple, but faster and more expandable—and still ran El Capitan perfectly. That’s pretty much where we found ourselves in the late ’90s with companies such as UMAX, Akia, Motorola, and of course Power Computing, the first to be granted a licence from Apple. The clone program had been introduced by Apple in 1995—technically 1994, but ’95 was when it properly got underway—as a way of expanding its meager marketshare. The thinking, presumably, was that a licensing system had worked so well for “Wintel” that Apple was in imminent danger of being crushed completely, so why not try to regain some ground by employing their enemies’ own tactic against them? Problem was, it wasn’t—ahahaha—an apples-and-apples comparison. Microsoft was basically solely a software company, so there was no downside to it to spreading support for its OS standard as widely as possible, but Apple was a hardware company, and by allowing other companies to compete head-on with its own hardware, there was always, shall we say, a fundamental tension in the clone program. Apple may have hoped its licensees would introduce cheap, entry-level computers to swell the ranks of those using its platform and thus shore up its future, leaving it to service the lucrative high-end customers (to which, additionally, these new acolytes might ultimate graduate). Apple was a hardware company, and by allowing other companies to compete with its own hardware, there was always a fundamental tension. But the clone makers weren’t stupid, and they often focussed their efforts on precisely the same market. Indeed, because of the nature of chip manufacture meant that new chips tended merely to trickle out to begin with—and so a company of Apple’s scale would have to wait before sufficient volume had been produced to meet initial demand—a smaller company could nip in and grab a few thousand CPUs from the initial runs which would easily satisfy its smaller customer base, so it wasn’t unusual for Mac clones to have newer, faster chips than actual Macs made by Apple. 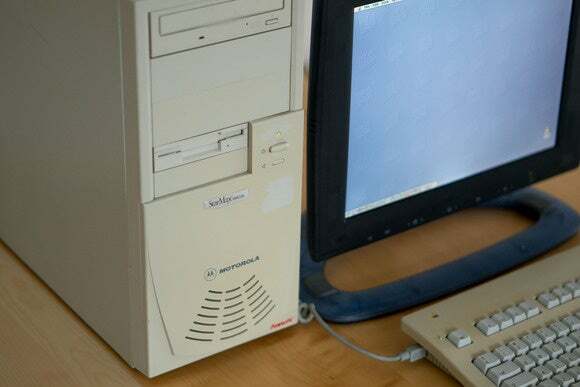 Motorola was a particularly interesting case, since it nearly introduced a “Mac” powered by the hugely exciting new G3 processor before Apple did. Indeed, Apple scrapped the clone program just weeks before this machine, the StarMax 6000, was due to be released. Mac magazines even had them in their labs for benchmarking; my old boss tells this tale on his site, and I remember the cover of the magazine in which it was supposed to feature—a scribbled-on proof of the cover that had been going to run, noting that the clone program was cancelled. 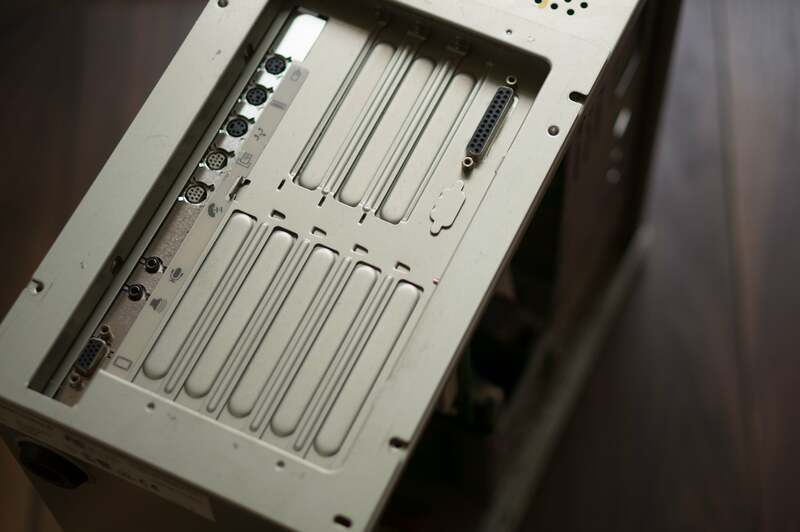 And as he points out, Motorola wouldn’t have had any problem making the chips at scale, so this machine in particular was a looming and potent threat to Apple’s core business. Of course, real Macs still had that indefinable edge, that air of finesse and polish that has always made Apple products as special, and it’s funny, especially given the context of trying to do for the Mac market what licensing had done for the PC market, how the Motorola Starmax 3000/240 DT I have feels so much like a stack-’em-high-sell’em-cheap PC. Look at the front. With its removable faceplates for extra internal drives and its off-the-shelf buttons, if you didn’t know better you’d swear it was an anonymous PC tower. Open it up and it feels the same. While Apple machines often have clever systems for accessing the internals, here it’s just a simple chassis with a motherboard. Mind you, that motherboard brings expandability advantages from the world of the PC; look at the number of slots for expansion! 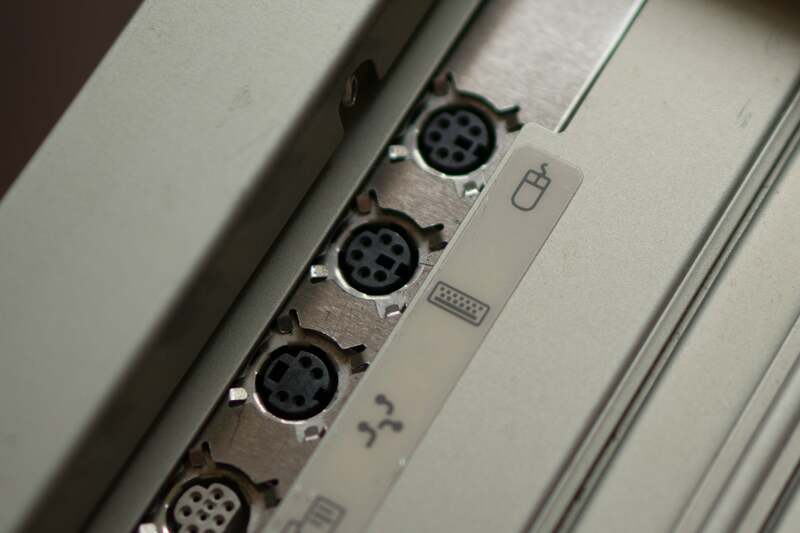 And if we look a bit closer on that back panel, we see more PCishness: PS/2 ports for a keyboard and mouse, complete with a heretical icon of a two-button mouse! Further down, the video port is also a PC-standard VGA plug rather than the DA–15 variant Apple typically used at this point, something I’d forgotten as I proudly unearthed my Rev. 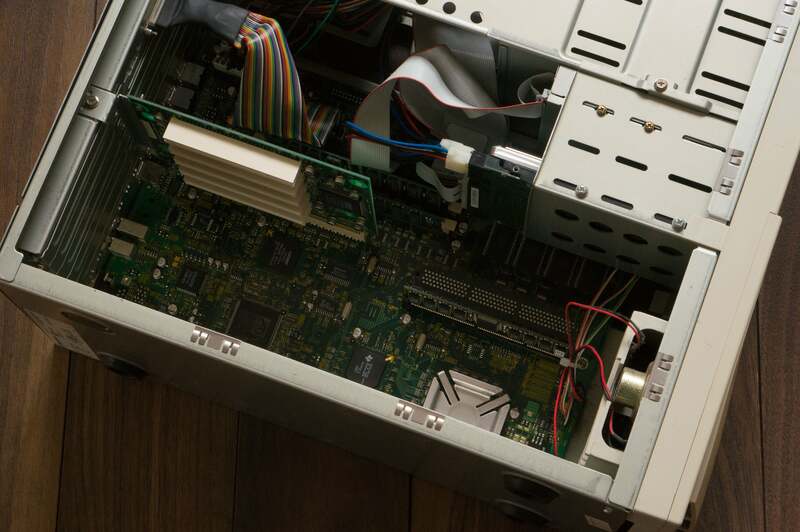 A Apple Studio Display, which had a DA–15 connector, to use in the photo above. I carefully removed the VGA and VGA to Mini DisplayPort adapters I’d been using with it on a Mac mini recently, and then spent more seconds than I care to admit frowning in confusion as I tried to connect the monitor to the StarMax. I know plenty of people who bought clones as their first “Mac” because they were cheap and powerful, and where Apple itself tried to tempt PC switchers—with their existing ecosystem of peripherals—with it’s “bring your own keyboard, mouse and display” marketing line for the Mac mini, here you can easily imagine a PC user making the jump to Mac and just plugging everything into the StarMax, no problems. 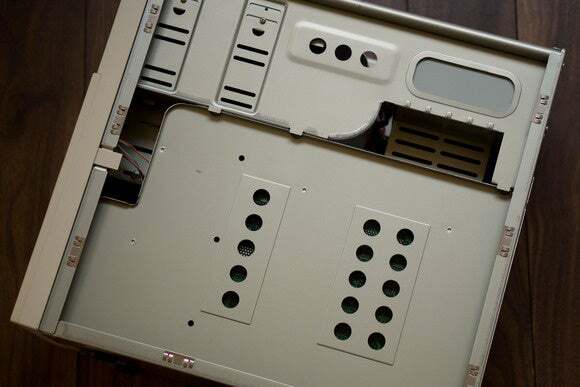 I never owned a clone at the time; I was too in thrall of Apple, and had a Power Macintosh 4400—itself the most PC-like box Apple ever made—and later a refurb G4 Cube around the few years the clones were made. I had a brief dabble with Hackintoshes a few years ago, but ultimately I’ve found myself trying to make my computing life simpler and more robust even at the expense of some power and flexibility—just like Apple has. 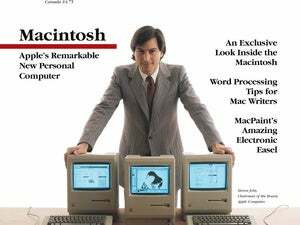 The clones remain, though, a strange and dream-like footnote in the history of Apple, the Mac and their users, and had Jobs not cancelled the program just a couple of years after it started, our world—the Macworld—would be unrecognizable today. Let us know what you think this parallel universe would be like in the comments below. Elsewhere on the site there’s a full history of the Mac clone program, and for the fascinating tale of the first—though completely unofficial—clone ever, head to Cult of Mac.